Sure, Chambers season is almost over. 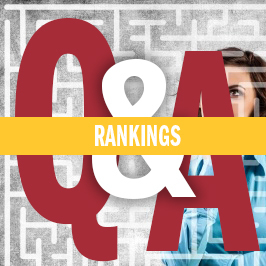 But there are others, like Legal 500, IFLR 1000, Law360’s MVP … Susan Holmes, Jaffe’s resident expert on legal rankings, sat down for a quick Q&A on managing the rankings process. Q: It’s mid-September. What should legal marketers be thinking about — to help make their lives easier — at least when it comes to legal ranking submissions? A: Now is the time to start preparing for next year so you can hit the ground running in January. In the coming weeks, publications will finalize their editorial calendars for next year and with that information, you can begin your planning. While you are waiting for the finalized calendars, you can begin thinking about which rankings and awards you will devote your time and energy to in 2019. As a starting point for your legal rankings strategy, consider the successes the firm and attorneys have had this year. Don’t forget to review the firm’s business development goals. Doing so will help whittle down your list. Once you’ve identified the key legal rankings for your firm, make sure you have buy-in from firm management. That way, when an attorney asks you to nominate him or her for an award, you’ll have the support you need to handle the request. A few years ago, I published an article on how to plan for law firm rankings in seven steps, which is still relevant today. Q: The deadline for Legal 500 is coming up. What’s your top tip for this one? A: Legal 500 has changed the way they are accepting submissions. This year, submissions must be entered or uploaded via their online system. You can download a Word template to complete the submission offline. Firms should have received an email with login information. If not, you can request the template at submissions@legal500.com. To aid legal marketers, Legal 500 has developed a tool, ConvertNow, which will transfer information from the firm’s Chambers USA submission to the Legal 500 submission. Firms that profile in Legal 500 United States will receive free access to this tool. Q: You’ve also written and spoken about repurposing content for directory submissions. How about some takeaways for our readers? A: While you have been compiling and summarizing matters for Chambers rankings, you’ve developed a deeper understanding of the strength of each attorney and practice group. This knowledge is invaluable to savvy law firm marketers. You are in the enviable position of knowing not only who has accomplished what — but also how the biggest successes have transpired at your firm. This information can be used in a multitude of ways. In addition to crafting other legal ranking submissions, you should use what you’ve gathered to develop a rankings strategy, build a practice area database, and hone your marketing and business development strategies. For more guidance, you can read my blog post on how to do this here. Q: Sprints or marathons? How do you convince lawyers that some legal rankings are the latter? A: These days, managing delayed gratification isn’t easy. Some of the most-prestigious rankings take time to achieve. The research process is purposely thorough and rankings are based on providing continued and prolonged value to the client. This often means that while an attorney may have had a great year with some huge wins, it does not guarantee a ranking. It also means that once an attorney is ranked, it will take time to move up. Another challenging aspect of “marathon” rankings like Chambers USA is convincing a practice group to stay the course. You cannot swap out the attorneys you are recommending for inclusion. Once an attorney is recommended for the ranking, you need to continue to recommend that attorney for inclusion. As I said before, the researchers are looking for prolonged success. The good news is there are legal rankings that cater to each — sprints and marathons. NLJ, Law360, and regional law and business publications offer awards and rankings that focus on an attorney’s recent successes. Q: What is the most frequently question people ask you? Of course, if you have any questions regarding your legal rankings strategy or need help organizing and preparing your submissions, contact me, Susan Holmes, at sholmes@jaffepr.com.